Located in Port Blair (Andaman and Nicobar Islands), we are one of the trusted Event Organizers. 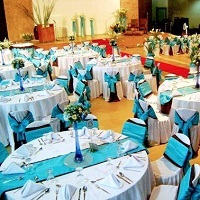 Our team masters in planning private and corporate events based upon the clientâ��s requirement. Besides, we also render for your various conferences and meetings. We organize different musical events and ensure that they render a joyful experience to you. Events are well planned by our team covering all the aspects from the beginning until its completion. If you are thinking to organize any spectacular event, then you can acquire our services. We would love to assist you and render our services in Andaman. Contact us for more.